George Emil Palade, the highly regarded Romanian-born US cell biologist, is credited with the discovery of ribosomes. He also contributed to the development of the electron microscope, and devised techniques to isolate and define cell components and their functions. For his pioneering work in cell biology, he was awarded the 1974 Nobel Prize in Physiology or Medicine, with Christian Rene de Duve of Belgium and Albert Claude of the United States. Palade was born on 19 November 1912 in Iasi in Moldavia, Eastern Romania. His father, Emil Palade was a Professor of Philosophy and Pedagogy at the Alexandry Ioan Cuza University of Iasi. His mother Constantza Cantemir-Palade taught in a secondary school. He had two sisters, Adriana Palade and Constanta Palade. The intellectual atmosphere at home fueled Palade’s interest in art, literature, music and science. He began his schooling at the Mikhail Kogalniceanu primary school in Iasi in 1919. The family moved to Buzau in 1922 and he attended the Al Hasdeu Lyceum, taking his baccalaureate there in 1929. His father hoped he would take up philosophy as a career too, but Palade, more impressed by a medical student cousin of his, decided to study medicine instead. He enrolled at the Carol Davila School of Medicine of the University of Bucharest, Romania, in 1930 and spent the next six years there. Influenced by Professor Francisc Rainer of the Anatomy Department and Professor Andre Bovin of the Biochemistry section, Palade realized that he was more interested in biomedical research than in actual medical practice. His doctoral thesis reflected this; it was on the microscopic anatomy of the kidney of the Delphinus delphi cetacean. He got his M.D. degree in 1940, worked briefly as an assistant in internal medicine before joining Professor Rainer’s Anatomy Department as assistant lecturer. Later, he became assistant professor under Rainer’s successor Grigore T. Popa. During the Second World War, he was a medic in the Romanian Army. After the war, in 1946, on the advise of his Professors Popa, Boivin and Bagdasar and with the assistance of the Romanian Foreign Minister G. Tatarascu and the Romanian poet George Lesnea, Palade proceeded to the USA for advanced studies. For a few months, Palade worked under Robert Chambers at New York University. Then he met Albert Claude at a lecture on electron microscopes and was invited to take up a two-year visiting investigator fellowship at the Rockefeller Research Institute. Here, Palade joined distinguished researchers like James Murphy, George Hogeboom, Walter Schneider, Keith Porter and Philip Siekevitz. He worked on cell fractionation, discovered techniques to break cell membranes and separate cell components using a centrifuge and to prepare specimens for study under the electron microscope. He studied the mitochondria and the structure and function of ribosomes. Ribosomes were then known as microsomes and had earlier been identified by Albert Claude. 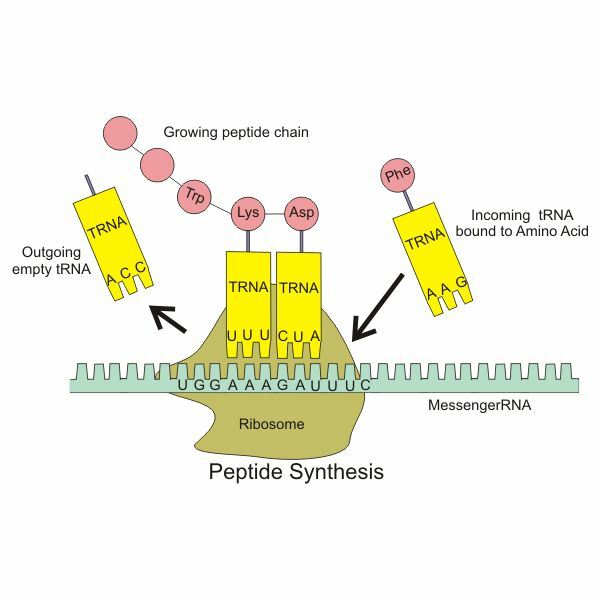 Palade discovered that ribosomes were independent of the mitochondria, had a high content of RNA and functioned as cell protein-producing power plants. This led to microsomes being renamed as ribosomes. Palade took US citizenship in 1952. After 27 years at the Rockefeller Research Institute, he, in 1973, became Chairman of the Cell Biology Department at the Yale University Medical School. He spent the next 17 years researching how defective protein production in cells affected health. In 1990, Palade moved to the University of California, San Diego (UCSD), where he was Professor of Medicine in Residence (Emeritus) in the Department of Cellular & Molecular Medicine. He was also a Dean for Scientific Affairs (Emeritus), in the School of Medicine at La Jolla, California, and a member of the UCSD Cancer Center Glycobiology Program. He retired in 2001 at the age of 89, but remained a consultant (advisor) to the vice chancellor for Health Sciences and the dean of the UCSD School of Medicine until 2008. In his honor, there is a George E. Palade Endowed Chair at the UCSD. Palade contributed articles to leading science journals and, apart from the Nobel Prize, received various other honors and awards. He was married twice. His first wife Irina Malaxa, whom he had married in Romania and with whom he had a daughter Georgia and a son Philip, died in 1969. He then married his colleague, the cell biologist Marilyn Farquhar in 1970. Palade died of complications related to Parkinson’s Disease at the age of 95 on 7 October 2008.